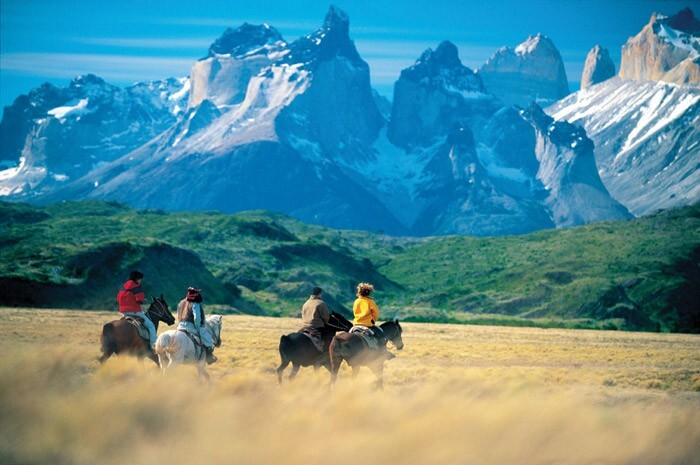 For five days and four nights, the horseback riding programs at explora Patagonia and explora Atacama let guests live the gaucho lifestyle and discover two of the world’s most pristine and wild landscapes: the Torres del Paine National Park and the Atacama Desert. Over a century ago, Patagonia became home to a new settler who, over time, developed his own unique customs: the gaucho. Known as a solitary character, the gaucho’s most valued possession and trusted companion is his horse, which he relies on to cover the vast distances across Chile. Competent horse riders will gallop across the famous Patagonian grasslands known as pampas as they soak up the gaucho lifestyle.